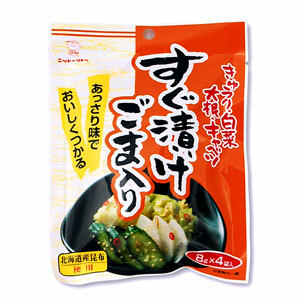 The pickle of the vegetables which are indispensable to a Japanese dining table and a snack of the liquor is immediate and comes. Is under cucumber, Chinese cabbage, Japanese radish, 100 g including the cabbage, and be in the vinyl bag; is one hour with a refrigerator. Please squeeze lightly and eat.